Speaking to a lovely bride to be last week, the conversation arose on where her wedding was going to be held? Her response was “Cuba”, wow that got us excited, a beautiful destination wedding, however she didn’t seem too convinced that she had made the right decision. So we asked what it was about her destination wedding that was making her so uncertain. Now this debate does not favour one or the other, at Bespoke Bride we are fans of destination weddings or the beach or in the forests and homespun weddings alike however it is extremely important when planning any wedding to consider the pro’s and con’s of any venue you choose. The first problem this particular bride encountered was the number of people that could afford to make the trip with them to witness their special day. For those brides and grooms on a tight budget, a destination wedding can be the answer to all your prayers, as it has been discovered that the cost of a destination wedding compared to a traditional wedding is around 10% cheaper. However a destination wedding can also be a nightmare for your guests, as they are going to be responsible for their own travel and accommodation costs. An advantage of this is that it will no doubt lower the number of guests on your day which will in turn lower food costs etc; however you must remember it may also mean losing out on guests you may really want at your wedding. 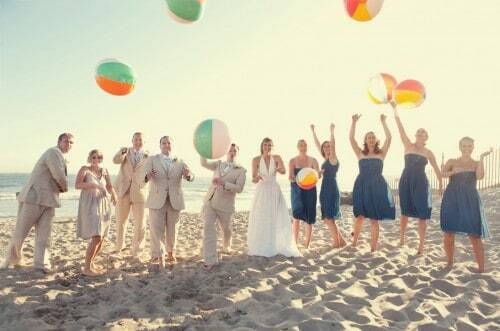 Anyone that has a destination wedding will also tell you that enjoying their day with closest friends and family was in fact, what had made their wedding so special. Destination weddings also tend to double up as huge family holidays so it is an excuse to spend quality time with loved ones relaxing and enjoying a beautiful country, something you may not get to do if holding a local wedding. Our bride then told us of her next problem? The thought of planning your whole wedding from flowers to food within a couple of days can sound like a nightmare for some brides. The freedom of having a year or so to plan is what many brides enjoy and this can sometimes feel taken out of your hands when you have a destination wedding. As huge advocates of personalised weddings this is when homespun weddings come into their own. With plenty of time to plan and no worry of lack of packing space the couple are able to put lots more detail into their wedding, although this is not impossible to do with a destination wedding it is just slightly more difficult. With 25% of couples now deciding to marry abroad it is also important to draw attention to the rules and regulations of marrying in another country, our bride to be in this case was extremely lucky as there is only a small amount of paperwork to be done to legally marry in Cuba, however the process can be a bit more complicated in other countries. Take for example France where there is a 40 day residency requirement before a legal marriage can take place. Some may find this discouraging but you must remember that there are also legal requirements to marrying in the UK. An example that many UK citizens are trying to get around at the moment is the difficulty in marrying in a place other than a place of worship or registrar’s office. The lure of being married in a more personal venue such as outdoors may be the very reason some couples choose to marry abroad, although we must add that weddings in alternative venues are becoming more and more popular in the UK with the help of celebrants. Are you trying to decide on a destination wedding compared to a homespun wedding or do have an opinion on which is better than please leave your comments below, we would love to hear from you.